Head of Qazvin court announces court's request for death sentence for 17 striking truckers in the Iranian province, in a meeting on October 8. According to the state-run IRNA News Agency, a court in Qazvin has requested death sentences for 17 striking truckers in Iran. “The judiciary will without any tolerance deal with those who disrupt the security of drivers and also those who intend to take advantage (of the strike) and create insecurity”, the head of the Qazvin Court said. 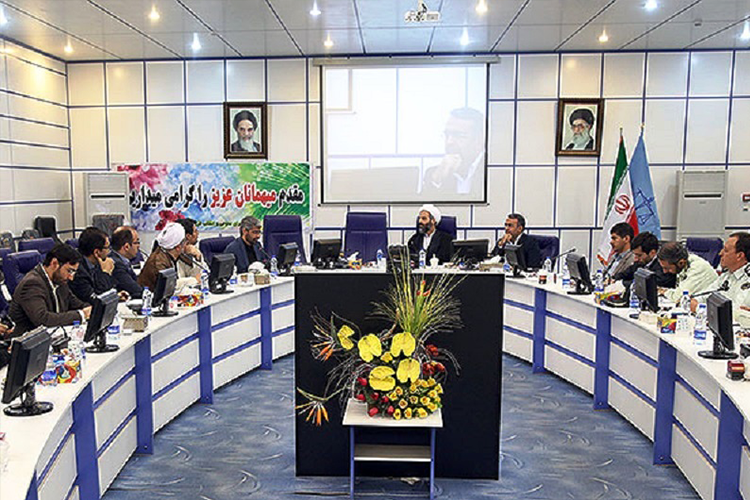 In a meeting in Qazvin, Mohsen Karami added that truck drivers’ problems “would not be solved with strikes”. “In the past few weeks, we witnessed a number of people attacking truck drivers in the province”, he said in reference to truck drivers who were trying to prevent other drivers from breaking the strike. “We have apprehended 17 of these people and they have been handed over the Judiciary for legal processing,” the head of Qazvin Court added. He said that they had requested the capital punishment and that if it was proven that they were “moharebs”, enemies of God, they would be sentenced to heavy punishments such as death. Before this, Iran’s Prosecutor General threatened striking truckers to death saying truckers who disrupt road regulations “will be considered bandits which can sometimes lead to death sentences,” the state-run Radio and TV news network (IRIB) reported on Thursday, September 27. This is among the many measures the Iranian government has taken to intimidate striking truck drivers into quitting the strike which has crippled Iran’s transportation activities. 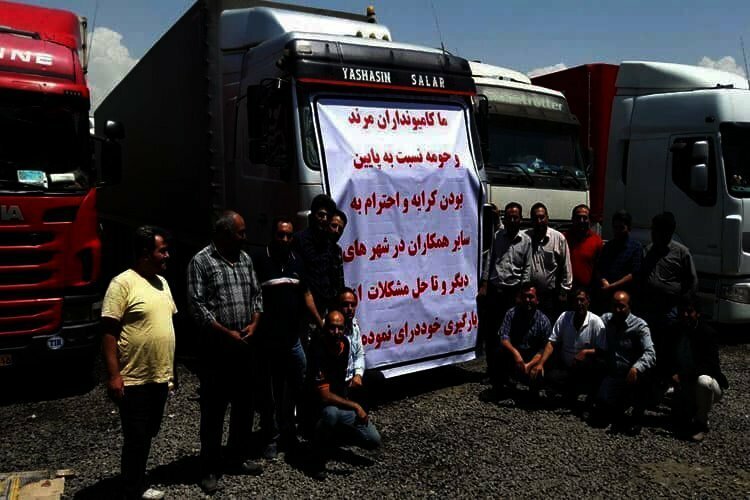 Iranian truck drivers in Marand stand next to banner announcing strike. Human rights sources say that more than 200 truckers have been detained all over Iran during the 16-day strike which has spread to more than 300 cities and all of Iran’s 31 provinces. Iranian truckers, who live under the line of poverty, struggle to feed their families as the strike has taken away the little income they had. But despite the pressure, they see the strike as the only way to protest low and unpaid wages and the high cost of parts including tires.